Certain things in life are universal. Every person on this planet wants to feel good. That bright, renewed feeling you get on weekend mornings. The thrill of surfing an ocean wave, or the serenity of paddling an Arizona lake under a clear blue sky. The warm moments sharing a cup of coffee with a friend. The effort needed to seek out these moments can be big or small, and plastic surgery is another path to fulfilling that desire. Plastic surgery performed by Dr. John Corey in Scottsdale allows you to make the personal changes you want so you can feel your best. To arrange a consultation, please call our staff at 480-767-7700. Breasts, body, face and skin – if your goals include adjustments to any of these areas, Dr. Corey can help you choose treatments accomplishing those outcomes. You deserve to feel thrilled about the way you look and, oftentimes, plastic surgery offers that exhilarating boost to your appearance. The same measurements and the same incisions, performed the exact same way, do not work for every person, every time. Your procedure should be individualized to your body. Dr. Corey joins surgical precision and an eye for aesthetics to provide the utmost in personalized results. Brazilian aesthetics: Dr. Corey was introduced to Brazilian cosmetic surgery concepts early in his career, eventually traveling there in 1993 to study with plastic surgeons in Rio de Janeiro, Sao Paulo, Belo Horizonte, and Porto Alegre. Brazilian surgical concepts emphasize an artistic eye and instinct for producing the most flattering results, which can often be in contrast to the sometimes overly-technical emphasis found in United States training. 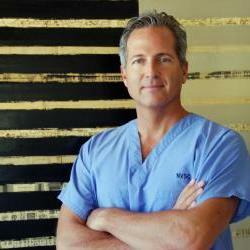 Dr. Corey joins the best of these surgical worlds, combining an aesthetic approach with technical skill. Dr. Corey has practiced plastic surgery since 1993. He is board-certified by The American Board of Plastic Surgery, lectures at Arizona State University and is an Assistant Clinical Professor at Midwestern University School of Medicine. He is a respected faculty member at the Osler Institute, preparing plastic surgeons for their board certification. Dr. Corey and our staff devote individualized time to you. You are not rushed by a ticking clock to make your decision. Instead, we make sure you have all the information you need. If you come to a consultation and realize you have more questions afterward, please call us for answers, or you can email Dr. Corey directly. We are available for guidance as you consider plastic surgery. To find out if you are a good candidate for plastic surgery in Scottsdale, AZ at our practice call 480-767-7700. We proudly provide cosmetic surgery and other services for Arizonans from across the Metro Area and the entire state, including Phoenix, Tempe, Mesa, Chandler and Gilbert.